Welcome to my blog today! Winter is in full gear and the kids love to snowmobile and pull their sleds, we go through several a season. MN is one of the coldest States in the USA and we started the cold early this year so I am hoping for a early Spring!! 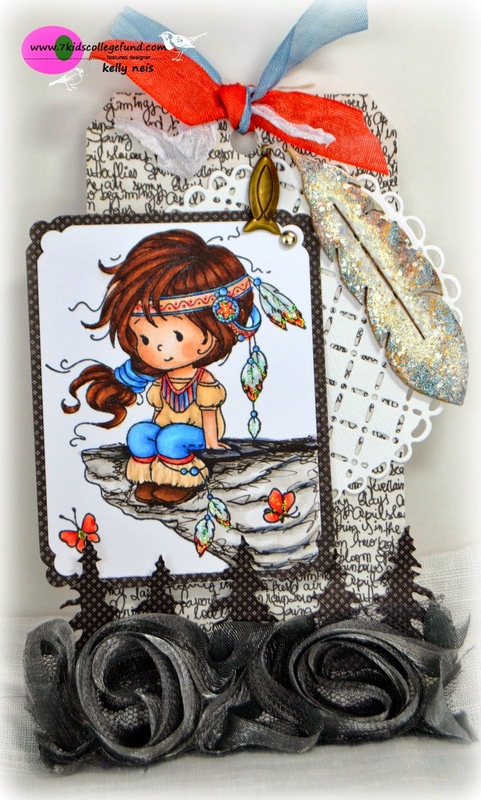 Today I have a tag to share with you using Wyanet (Beautiful) from Whimsy Stamps. She is colored in Copics and I added some extra doodles. 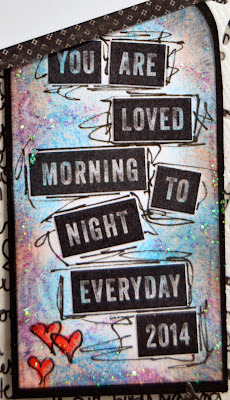 I used TH On The EdgeTree Line die to make the trees along the bottom and then I added a dark gray ribbon rose strip. The back of Wyanet is a Magnolia doily doohickey. I used a Prima wood feather and Frantaged it with Aged Aqua, Shabby White, and Aged Copper which blended it to her feathers. A charm I received from a friend accompanies it. Inside sentiment are stickers that I doodled around. The background is ink and a dab of glitter. So the big surprise is how you get to the sentiment! You flip her up and there it is underneath my image. Last year I received a card from a friend that flips like this too, I still have it in my craft room to admire. Thank you for support and the comments you leave me! Currently at 7 Kids College Fund Challenge Blog we are having a challenge ANYTHING GOES!! By entering with a product from the 7 Kids College Fund Store you have a chance to win the gift certificate offered at the 7 Kids College Fund Store. I hope you enter our challenge at 7 Kids college Fund Challenge Blog, I love to see my friends there! Absolutely gorgeous. Love the silhouette landscape at the bottom and the hidden message. JUST GORGEOUS, Kelly !!! Love it!!! What brilliant colouring - she just glows with beauty. 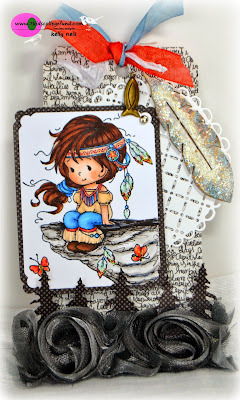 The feather looks stunning, and I love the image swinging away to reveal the sentiment - fabulous work, Kelly! The trees peeking out from behind the ribbon is gorgeous and I love the tranquil blues in that feather. It's a frantaged beauty, that one! Outstanding work artistic detail and design on a tag no less! Positively wonderful - everyone loves secret messages. Your coloring is outstanding Kelly -- if I could have colored this well, you never would have been the recipient of all my Copics! I shall call her princess Winter, Summer, Spring and Fall. How adorable is this!!!!! Gosh, I just love that little cutie and all the fabulous details surrounding her! That frantaged feather is exquisite as well as the swing tab revealing a wonderful sentiment. Very clever and artistic, Kelly! Looks like you're having a great time this weekend.....breathtaking pics on FB. Kelly, this is fabulous! I just love how you did the feather! Love the hidden sentiment, and the trees and the rose ribbon! Just fabulous! Now this is an outstanding beautiful tag! I agree that your coloring is fabulous and that feather is awesome! Your design is genius. Love it all! OOoooo I LOVE the extra doodles!! Gawd I'd be FREAKED to add those cuz I'm pretty sure I'd somehow screw it up. ha ha ha! Oh I guess that's why pencils were created huh? hee hee Great coloring and love that feather!! Happy new year to you!! Hugs! Fabulous tag Kelly! Of course, I love those Sylvia Zet images and I like the way you coloured this little gal. The feather is amazing and so very pretty! Oh Kelly, this is beautiful!! Oh she's so cuuute ! Your tag is wonderful Kelly ! Love the feather ! 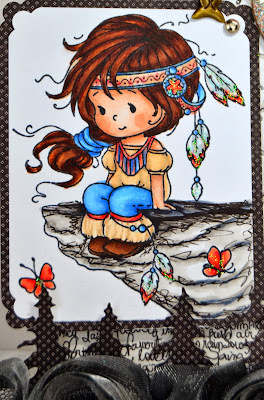 Absolutely gorgeous Kelly, your coloring is just stunning, love the detail on the feathers. Wow! this is gorgeous Kelly… what a fab image and your colouring is really beautiful. 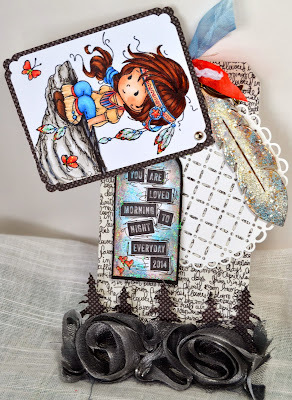 I love the roses and trees… and the pretty ribbons and feather look fab! Again a beautiful tag Kelly. I love what you did with the feather, it is a real eyecatcher. Great design, coloring and beautiful details. woow! this tag is gorgeous. Love the feather and your colouring is awesome. you're so talented!